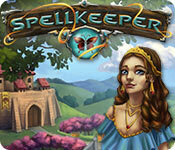 SpellKeeper is rated 4.5 out of 5 by 2. Rated 5 out of 5 by LavenderLion from Intriguing new type of game This is based on the demo. I wasn't too sure when I started the game if I was going to like it. It seemed to be one that talked too much (both written and voice over). But it only does that when teaching how to play or introducing a new feature. So a few helpful tips and then it leaves you alone. Once I got going it was hard to stop. 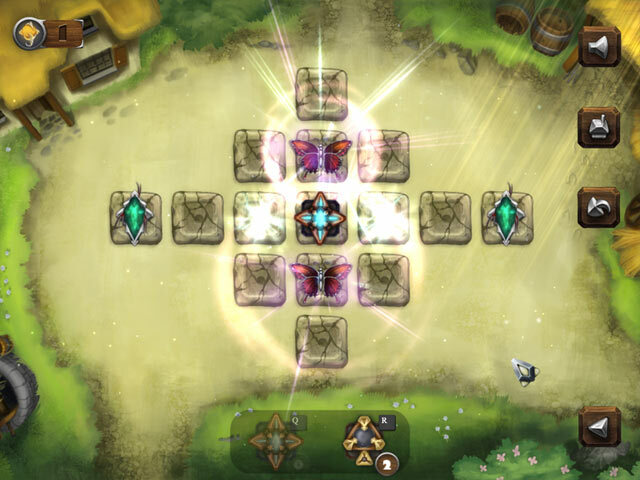 The game is all about strategy, figuring out where to place the "spells" (arrows) in order to get a beam of light to specific places and free the butterflies. There are many kinds of spells, starting with a arrow that goes straight for any distance. Later there are others, like one that does a cross fire but only for one cell, one that shoots all directions but again for only one cell distance. There are also blockers of various kinds that come up in later levels. Each level is a puzzle to be solved. There is no time limit or move limit, its just about getting all the butterfly cells lit up. Plus there are keys that you need to open up later levels. You can win the level without getting the key. After doing 5 levels you can either go to a new location or use keys to open up more levels at the current location. There seem to be 15 levels per location so there are a lot all together. The music is relaxing, I enjoyed listening to it while figuring out the puzzles. The graphics are good, not super colorful but with rich tones and nice to look at. There is a sort of story line (I skipped over the intro so not sure what) but its really just to give a setting. This is not the kind of game that needs a plot. I do plan to buy this game. Its really different - giving a challange and relaxing at the same time. Rated 4 out of 5 by pennmom36 from THIS IS ONE OF THOSE GAMES THAT LOOKS MORE COMPLICATED THAN IT ACTUALLY IS I'll admit, after the quick tutorial I was left scratching my head and saying "huh?" as I stared intently at the first real level. I returned to the tutorial level a second time and paid more attention to get the "aha!" moment. (or perhaps the duh moment) After that, I started flying through the levels, and I discovered that I don't even have to click the reset button if my initial choices don't get the job accomplished because you can move the element devices, or even return most of them to the inventory board. I'm a little leery about purchasing this game, however, because, from the demo, it appears to be a short game, but it could be that the demo doesn't show you all the levels? The goal is to place various devices on cells that allow the magic energy to reach all of the cocoons to heal them and transform them into butterflies. The graphics are hand-drawn and beautiful, but the transformed butterflies could have made more of an impressive impact if they were more vividly colored, in my opinion. 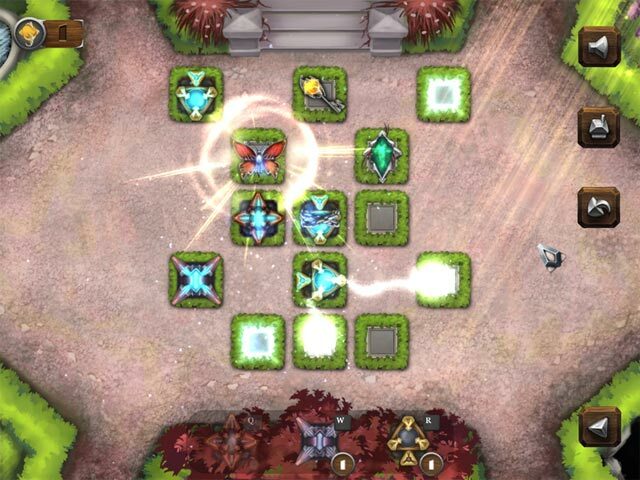 You begin by placing Magic Energy Sources onto highlighted cells. Power Arrows can move in different directions (click on them to get directional arrows) which will activate even more highlighted areas. 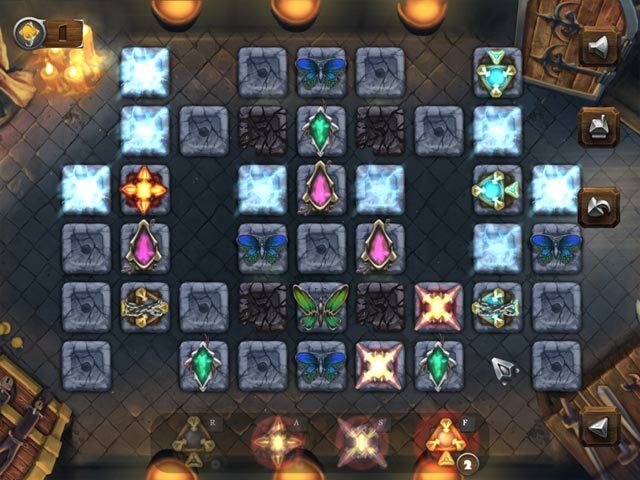 There are also Power Stars and Power Crosses that can be placed strategically onto highlighted cells which will expand the energy source in different patterns. Each of these devices has a number on them indicating how many of them can be used, and as I said before, you can move them around to see what areas and patterns work the best, and you can also drag them back to the inventory board to use them later, versus having to reset the level to the start. Some of the levels contain Keys that must be collected by connecting an energy source to it or through it. If you don't collect the key, you can still win the level, but you will need all the keys to unlock the next set of levels. If you just play around with the devices by moving them and seeing what effects they have, you'll catch on really quickly. I've noticed that my initial thought when seeing a new level was that I had to configure the devices in some crazy complicated layout manner, when in fact, it only required a few less complicated set-ups to get the job done. Is it just me, or have you ever noticed that you scurry to use your last PCC's on just any old games you come across rather than losing them before they expire, and then a bunch of really cool games show up?